A night of improvised electronics, homemade instruments and sonic exploration. Jimmy Joe Roche and Will Schorre will be performing an electronics modular battle set. Mike Allender will be playing solo on an Ekdahl Polygamist. Anne-F Jacques and Tim Olive use handmade, idiosyncratic instrumentation to produce and amplify detailed sound textures, from fine-grained to coarse. Anne-F’s “rotating devices” refer to small electric motors which are modified, manipulated and amplified; Tim’s “magnetic pickups” are the engine of a devolved one-string electric guitar. They share a tactile, lo-tech approach to improvised sound composition, manipulating diverse objects and materials in conjunction with somewhat unpredictable audio pickup/amplification systems to create a music in turns serene and agitated, pellucid and dense, fluid and gritty. Anne-F Jacques is a sound artist based in Montreal, Canada. She is interested in amplification, erratic sound reproduction devices and construction of various contraptions and idiosyncratic systems. Her particular focus is on low technology, trivial objects and unpolished sounds. She performs regularly, has many ongoing collaboration projects (with Nicolas Dion, Miguel A. Garcia, Takamitsu Ohta and Hélène Prévost, to name a few) and makes soundtracks for Julie Doucet’s animated films. She has presented sound installations in many artist-run centers in Canada and sound performances in North America, Europe and Japan. Anne-F is also involved with Crustacés Tapes, a postal sound distribution project. 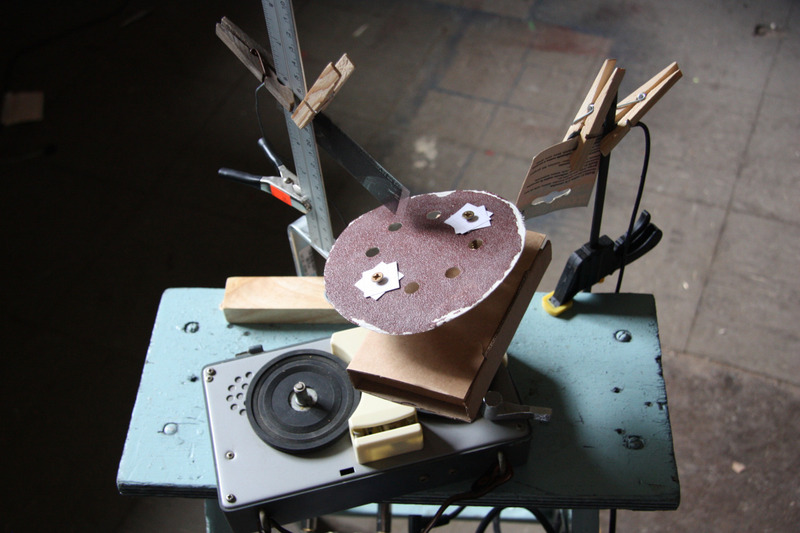 Tim Olive’s work, utilizing magnetic pickups and analog electronics, is predicated on collaboration. Extensive live action in North America, Asia, Europe and Australia has provided opportunities to play with a wide range of musicians in event-specific one-off contexts, as well as ongoing performing/recording collaborations with Alfredo Costa Monteiro, Jason Kahn, Anne-F Jacques, Makoto Oshiro, Takahiro Kawaguchi, Nick Hoffman, Crys Cole, Francisco Meirino and Katsura Mouri. Recent live collaborators include Richard Kamerman, Nate Wooley, Jin Sangtae, Madoka Kouno, Takuji Naka, Carl Stone and Tetuzi Akikyama.